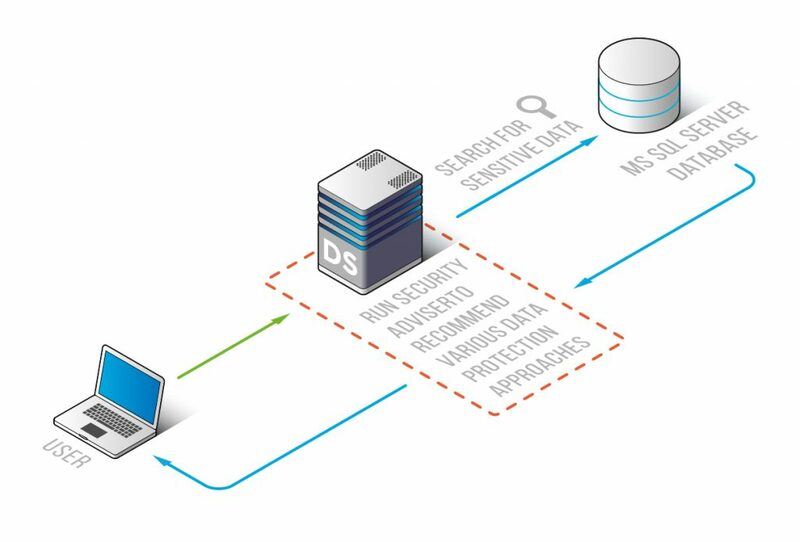 When in search for solutions to ensure sensitive data privacy, trustworthiness and accuracy is high on your priority list, decide on DataSunrise, the solution with the comprehensive built-in Sensitive Data Discovery component. Along with easy and fast identification of sensitive data in MS SQL Server, you will be able to secure it via strict and reliable protection rules. 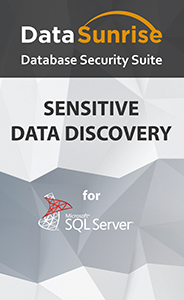 Extensive search for DB objects comprising confidential information performed by the advanced DataSunrise Sensitive Data Discovery mechanism gives a very consistent and accurate way to effectively control processes with sensitive data in MS SQL Server including development, testing or other nonproductive processes by applying certain Audit, Masking and Security Rules. Data Discovery enables its users to carefully search for required information in accordance with preset filters and detect data that needs protection. The search process is conducted as per the following algorithm: DataSunrise locates objects using special filtering. Information is identified according to various Data Types set by default or specified by the user. Data Type classification includes various financial data (e.g. codes, credit card numbers, etc. ), medical and personal data, geographic information (e.g. countries, cities, ZIP codes), names, account numbers, certificates, email addresses, telephone/fax numbers, website credentials, dates, SSNs, URLs, etc. The product allows to create new filters as well by indicating attributes that DataSunrise will use to search for sensitive data in MS SQL Server, mainly templates for a column name and/or a contents name. Sensitive data location process may be narrowed down by specifying a certain place for search: a database, schema or table. The required columns in a search results list will be secured as per indicated Security, Audit or Masking Rules. This allows to control and audit an access to sensitive data thus protecting it and ensuring its confidentiality.